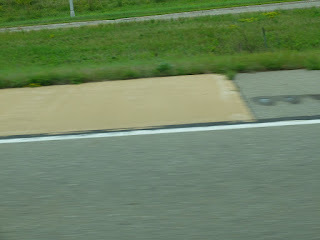 While our time in Minnesota was brief, I still feel like we packed in some sites including the Spam museum. It seems the kitsch outlet mall affect bled a little into Minnesota. As you saw we visited the Green Giant in Blue Earth, MN. We originally just stopped to get gas, our new favorite pastime, but when in Blue Earth you know you sort of have to stop and see the Green Giant. 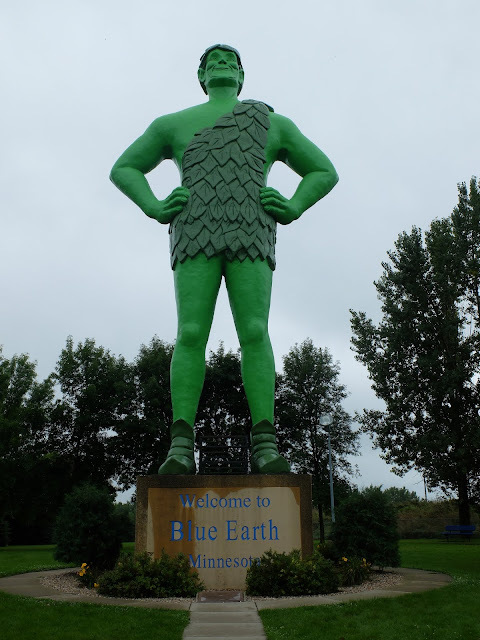 One of the locals informed us there is a museum/visitor center for the Green Giant but it is further in town and no where near the Giant so we opted to go straight to the Green Giant in Blue Earth (I just like saying that, Green Giant in Blue Earth). Maybe next time we pass through they will have finished re-locating the visitor center next to the Giant as is the plan. 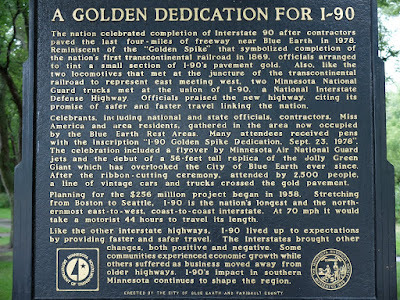 Also while in Blue Earth we learned about the "Golden Stripe", which is a parallel to the "Golden Spike" that was used to complete the first transcontinental railroad. 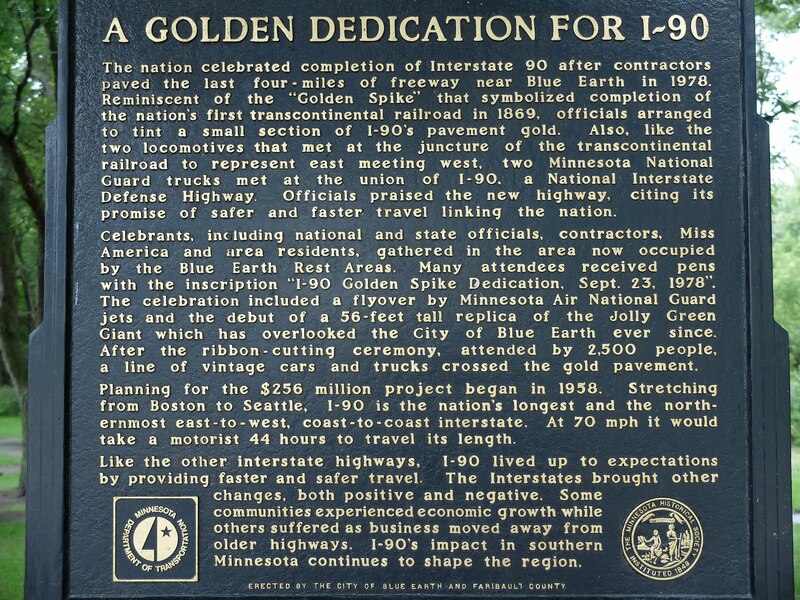 The Golden Stripe is a small strip of I-90 that has a bit of a gold hue, well it did.. 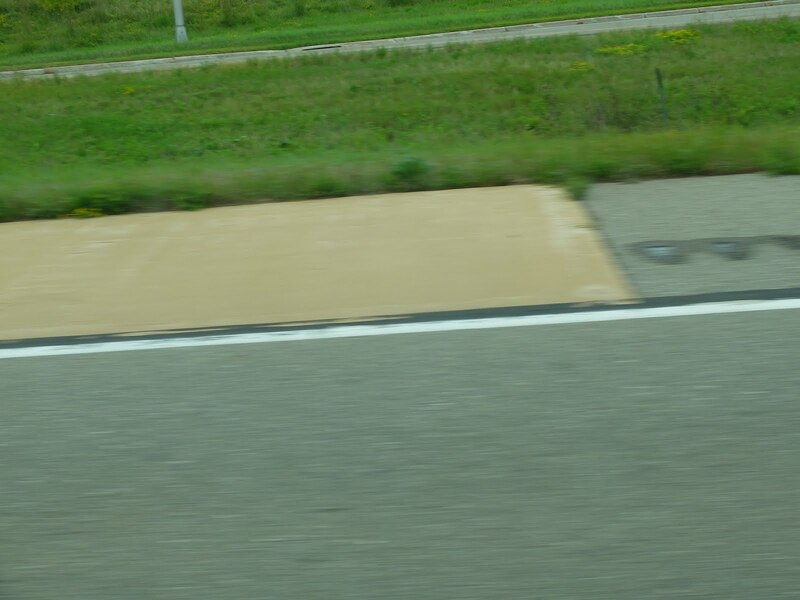 The road has since been repaired and repaved, but there is still a bit of shoulder that has the gold tint. You have to be looking for this thing otherwise you will completely miss it. We did. 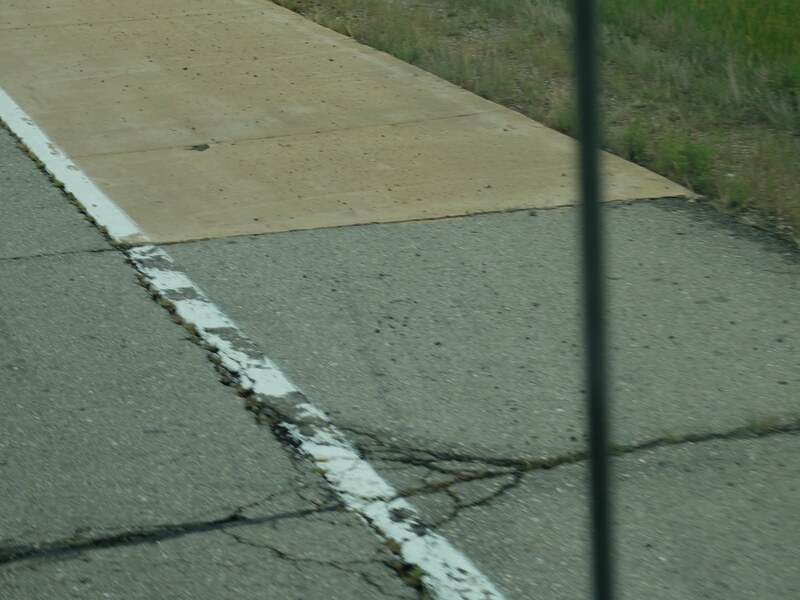 So we went back westward and then east again to catch a glimpse of the stripe. Sorry if they are blurry, but taking a picture at 70 mph of a 10 ft stretch of highway shoulder is a bit tricky. Try it if you doubt me. After all that, in our haste to get to Madison, we forgot to get a MN sticker for Norma Rose, and so far we haven't found one in Wisconsin. I wonder why. I know all I've posted are sarcastic comments, but do love the updates. FYI, Our Reward won again yesterday! Hey I am just happy someone is commenting. Congrats to Our Reward. I saw the picture, That was more than just a win.